The castle's imposing reddish schist walls are reflected in the waters of the lake which surrounds it. 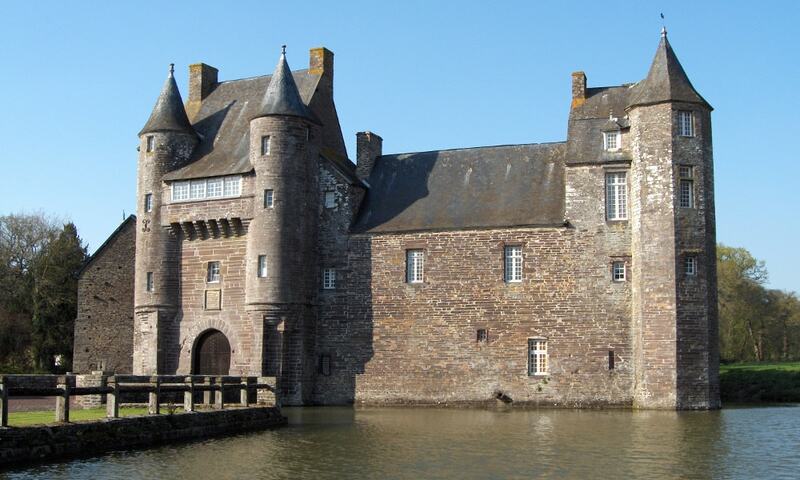 The front gate is reached by a bridge which spans the moat. The entry is guarded by an imposing gatehouse flanked by two narrow towers on corbelling, joined together by an old gallery with machicolations. It has been listed since 1922 as a monument historique by the French Ministry of Culture.